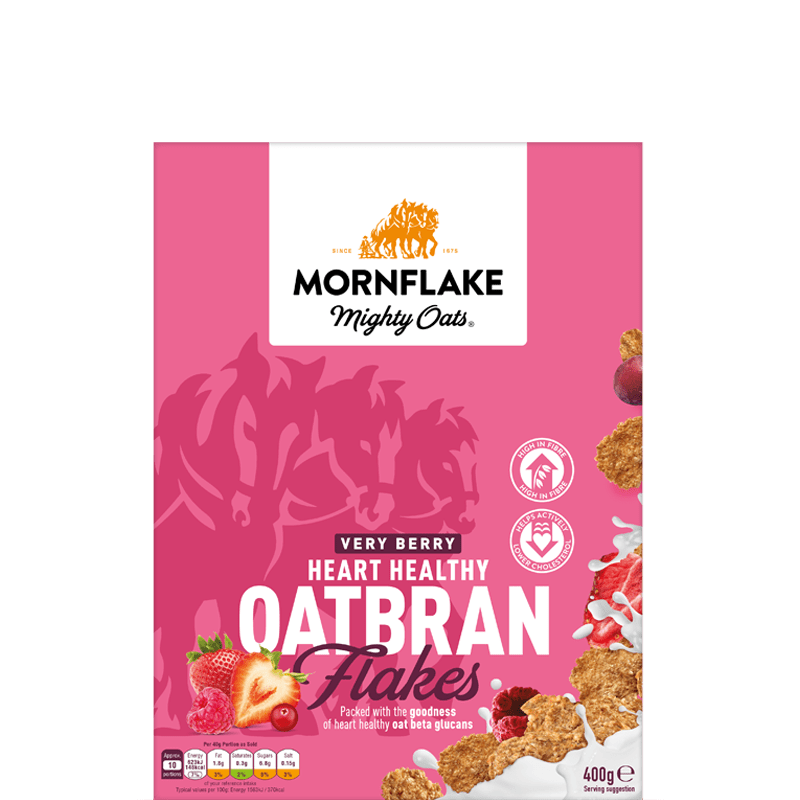 Our Very Berry Oatbran Flakes are made from Oatbran which helps to lower cholesterol*. They are also packed with Strawberries, Raspberries and Cranberries to make them extra delicious. 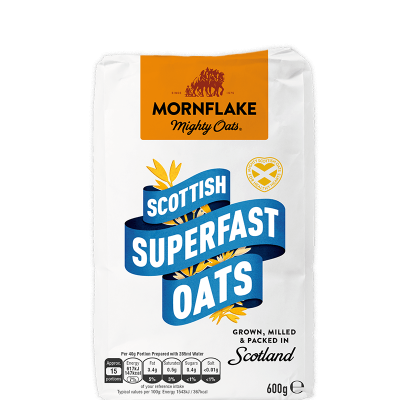 Oatbran absorbs excess cholesterol on its way through your body, so by enjoying a bowl of Mornflake Very Berry Oat Bran Flakes every day, you’ll get 1g of your recommended 3g intake of beta glucans (the soluble oat bran fibre). 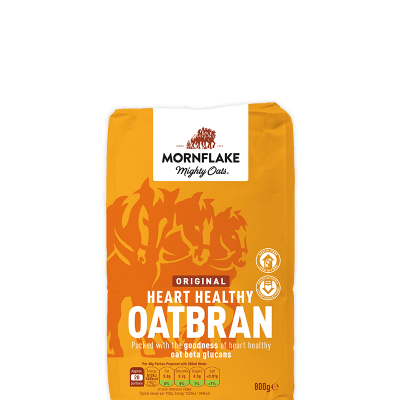 OATBRAN (39%), WHOLEWHEAT (39%), Sugar, Freeze Dried Fruits (5%) (Freeze Dried Strawberry, Freeze Dried Raspberry, Freeze Dried Cranberry), BARLEY Malt Extract, Salt, Folic Acid, Iron, Niacin, Pantothenic Acid, Thiamin (Vitamin B1), Vitamin B12, Riboflavin (Vitamin B2), Vitamin B6, Vitamin D, Vitamin E.
Also, not suitable for NUT, MILK, RYE or SPELT allergy sufferers due to the methods used in the manufacture of this product. 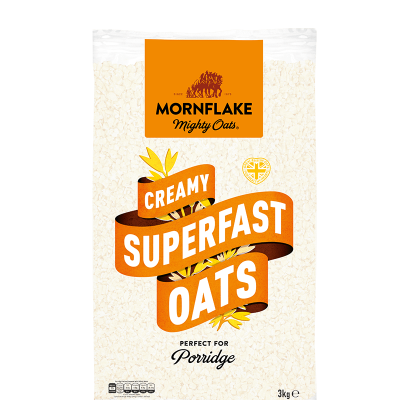 * Oat beta glucans have been shown to help lower blood cholesterol. Blood cholesterol lowering may reduce the risk of coronary heart disease. 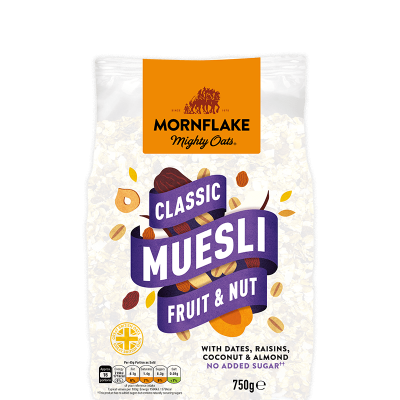 One 40g portion of Very Berry Oatbran Flakes provides at least 1g of beta glucans from oatbran, which is 33% of 3g, the suggested daily amount.